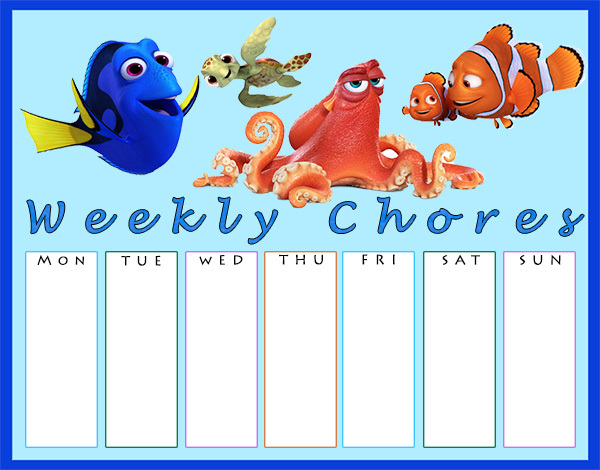 Finding Dory is one of my FAVORITE movies from Disney•Pixar so I thought it would be fun to make some printable Finding Dory Chore Charts for those Finding Dory fans that want to keep track of their weekly chores. 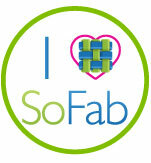 If you haven’t seen the movie yet, you have to see it! 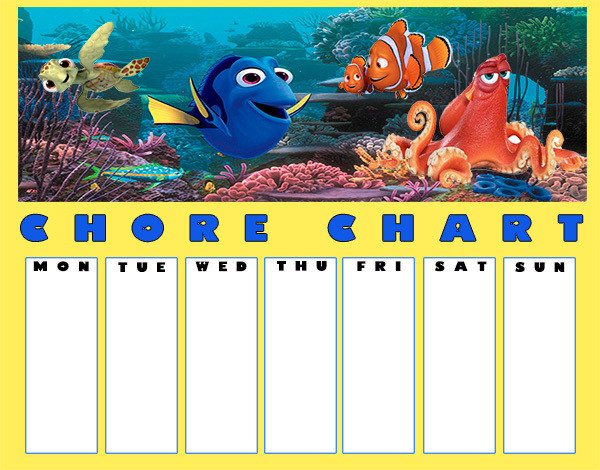 Below you will find FIVE different printable chore charts that you can choose from. 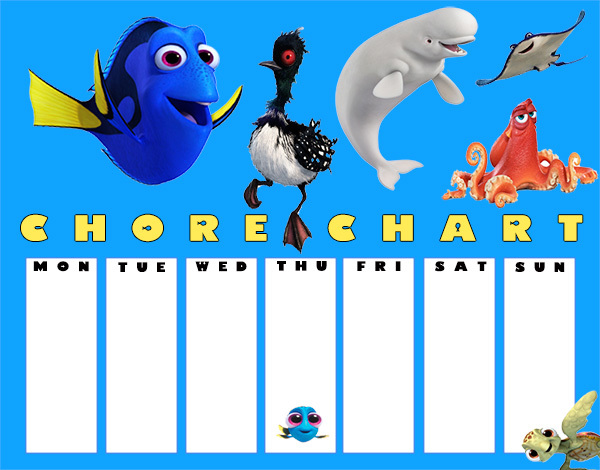 Click on each of the images below to open the full size printable version. 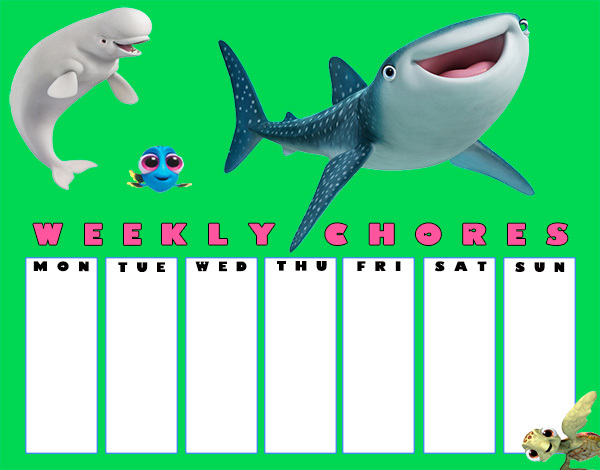 To make this chore chart last longer laminate it! 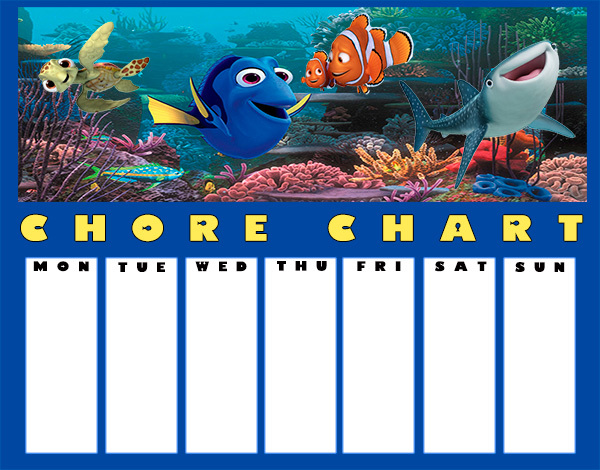 Once you laminate it you can use a dry erase maker and use it multiple times.